Available in a lightweight virtual machine (VM) from the Azure Marketplace, NGINX Plus offers Microsoft Azure-ready load balancing, high-availability and management features to help you deliver your applications with performance, reliability, security and scale. NGINX Plus works with your applications to ensure that your users get the best possible performance, even in the face of large traffic spikes. SSL offload, caching, and bandwidth and rate control combine to deliver content to your users in a predictable and secure manner. NGINX Plus can operate standalone or as a complement to Azure’s existing load balancing solutions, offering you the enterprise-grade performance you need while allowing you to control cost and complexity. Deploy NGINX Plus directly from the Azure Marketplace, with either hourly or annual billing, across all Azure regions. Every NGINX Plus VM includes access to NGINX’s award-winning support. Learn how to quickly set up an NGINX Plus environment in Microsoft Azure with this guide to installing the NGINX Plus VM using the Azure Marketplace. Learn how to use NGINX Plus to validate OpenID Connect tokens issued by Azure, and also to apply fine‑grained access control based on group membership assignments made in Azure Active Directory. 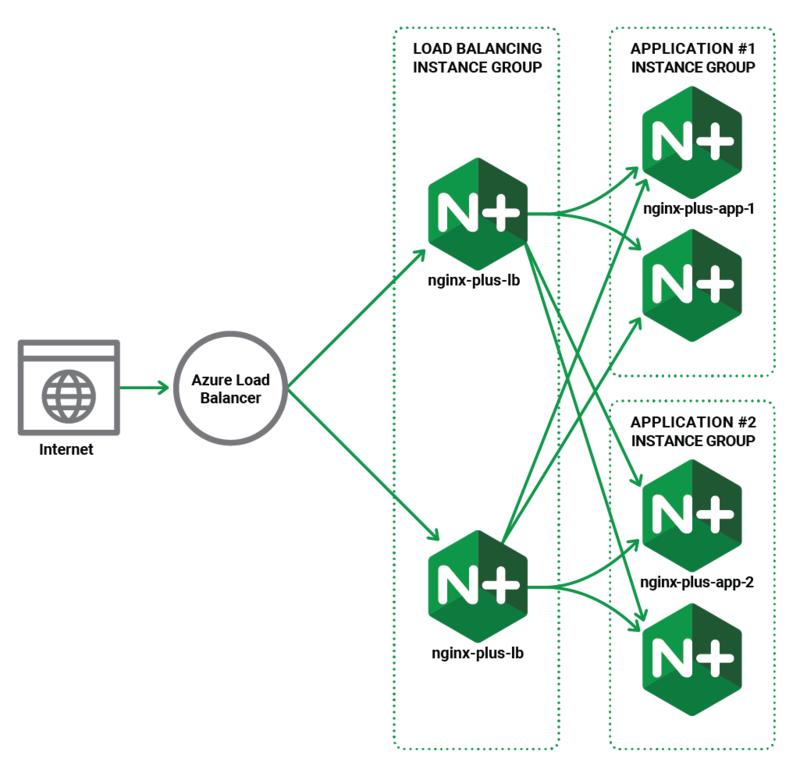 Learn how using NGINX Plus with Azure Load Balancer can give you a highly available HTTP load balancer with rich Layer 7 functionality.